Now everyone is wondering and Googling: what is an inclusion rider? And sites like ours must explain. In short, it’s a way for high-profile actors to use their power to make film projects more diverse. Riders are usually a list of demands created by celebrities, often touring musicians, who want certain backstage provisions (think specific snacks and products in the trailer) while performing or filming. An inclusion rider takes that language and asks for something more substantial: a diverse cast and crew on a movie. Actors have the ability to support inclusion as well. A‐list talent can add an “equity rider” to their contract stipulating that efforts must be made to achieve inclusive hiring practices. The contract language can focus on pursuing diversity in the above‐ and below‐the‐line positions that have historically underrepresented females, people of color, the LGBT community, individuals with disabilities, and other marginalized groups. By exercising their power contractually, actors and other talent can ensure that equality is part of a film from the nascent stages of the project. 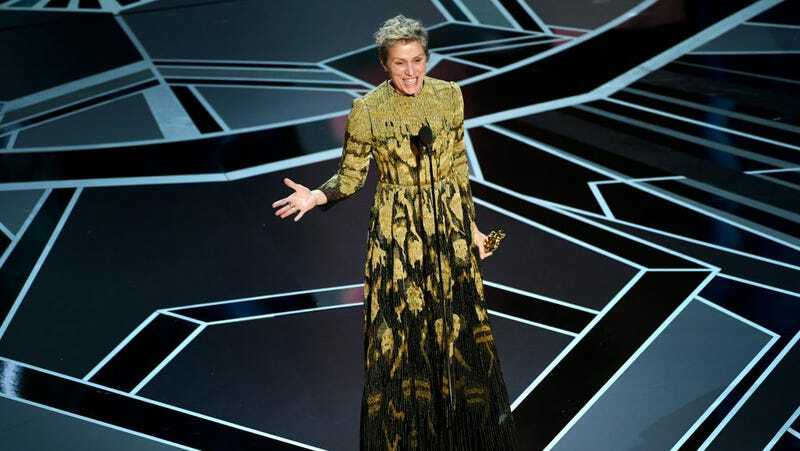 “For on-screen roles that are supporting and minor in nature, they have to be filled with norms that reflect the world in which we live,” Smith, who mentioned the rider in a 2016 TED Talk on sexism in Hollywood, told The Washington Post after the Academy Awards. And while Smith does not know how many actors have put inclusion riders in their contracts, several actors like Brie Larson and Whitney Cummings tweeted support. We’ve seen many actors speak openly about the need for diversity in Hollywood on red carpets and during acceptance speeches, but the place where that conversation matters the most is behind the scenes. And while it’s unfortunate that movie stars have to essentially manage up, actors can and should use their star power to influence sets in the negotiating process. Enough talk, more contract drafting!